Professional Experience: Dr. Nancy has over 25 years of experience providing leadership to UN and International Non- Governmental (INGO) relief and development organizations as well as governments on a range of issues such as sustainable development, education, child protection, micro grant financing, psychosocial programming and agenda setting. She has run INGO's such as the International Society for the Prevention of Child Abuse and Neglect at the international level. Her work has brought her to live and work in war torn and impoverished countries such as Sierra Leone and Aceh Indonesia. While in Sierra Leone, she carried out qualitative and quantitative research projects on Female Genital Mutilation (FGM) and her forgiveness, gratitude and appreciation (FGA) approach. She is currently working on a global forgiveness research study in four countries. 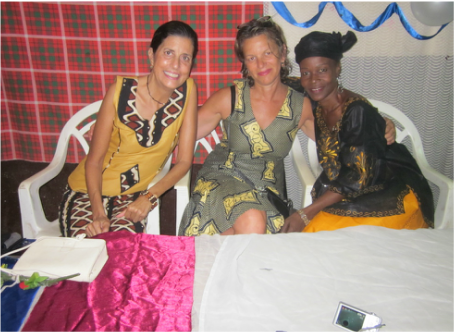 Dr. Nancy has publications on FGM, forgiveness, and culture which are used in curriculums at a number of Universities. She has co-authored articles and chapters with experts such as Nancy Dubrow, Beth Stamm, Fred Luskin and Loren Toussaint. 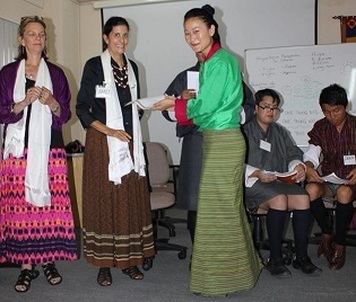 In addition, Dr. Nancy has lectured at Northwestern University in IL, Concordia University in IL, Montclair State University in NJ, Fourah Bay University in Sierra Leone and The Royal University of Bhutan in undergraduate and graduate courses on early childhood policy and education, international development, psychology and forgiveness. She currently works part time at The Chicago School of Professional Psychology (TCSPP) Online International Psychology Program with Ph.D. students. She is presently based in Freetown, Sierra Leone and Chicago, IL USA.